The chief inspector of hospitals has issued an immediate warning to a Midland health trust after serious concerns about the running of its two A&E departments. A damning report published by the Care Quality Commission (CQC) found the Worcestershire Acute Hospitals NHS Trust to be understaffed and said children&apos;s security was being put at risk. The CQC has issued immediate actions to be taken following an unannounced inspection in March of the Alexandra Hospital&apos;s emergency department, in Redditch. Inspectors found there were delays in handing over from ambulance crews, shortages of nursing staff and senior medical staff. 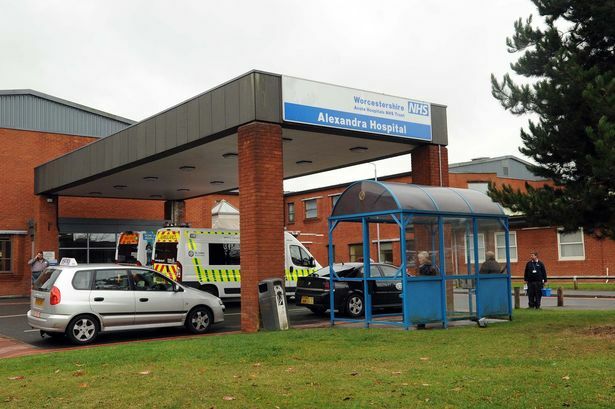 They also found there was only one consultant on site after 5pm covering both the Worcestershire Royal Hospital and the Alexandra Hospital site, including trauma calls. Publishing its report, the regulator said it had taken action to protect the welfare of patients by placing a condition on the trust&apos;s registration. CQC&apos;s chief inspector of hospitals, Professor Sir Mike Richards, stated the trust must ensure appropriately skilled and qualified staff assessed patients on their arrival at Worcestershire Royal Hospital&apos;s A&E and that patients received a safe and prompt handover from the ambulance service. The trust must also make immediate improvements with regard to security relating to children being cared for at both hospitals and to staffing levels and the maintenance of equipment at Worcestershire Royal Hospital. He said: "Our inspectors were concerned at what they found in the emergency departments at Worcestershire Acute Hospitals NHS Trust. "We found there were delays in handovers from ambulance crews, there was a shortage of nursing and senior medical staff and we had concerns about safeguarding procedures concerning children and the management of medicines. "This is why we took immediate action. Our team gave feedback on their findings to the trust as soon as they had finished their inspection and this was quickly followed by CQC issuing warning notices and placing a condition on the trust&apos;s registration. "Our inspectors will return to the trust unannounced at a future date to check on whether improvements have been made. If improvements are not made, we will consider what further action we need to take. "Significant work is needed to improve services at the trust so that it meets the standards people have a right to expect." The announcement comes just days after an independent senate report raised concerns about how the Worcester hospital would cope with extra patient numbers in the planned "reconfiguration" of facilities. They also warned of serious risks contained in moves to downgrade the emergency department and transfer patients 20 miles away. The trust also hit the headlines in April after a shortage of beds resulted in some patients being treated in corridors while a senior doctor, usually deployed only in cases of major disasters, had to be sent in to help. Dr Carl Ellson, chief clinical officer for NHS South Worcestershire CCG, said: "The trust has acted quickly to implement some of the identified improvements and I am hopeful we will continue to see progress over the coming months. "We have already seen the impact that some of these changes are having at Worcestershire Royal Hospital, on both the standard of care and on the culture within the emergency department. "We remain committed to supporting the trust through this process and are working closely with them and other partners to make the required changes."